By the time women reach their fifties and menopause, disease may begin to show up in their bodies. Cancer and heart disease could make themselves known. Sometimes it's too late to turn things around - once you get that alarming diagnosis. Women in their forties need to start taking steps to prevent those killer diseases. In the U.S. about 250,000 women die each year from a heart attack and 40,000 other women die annually from breast cancer. Being overweight is a risk factor for not only heart attacks and breast cancer, but for diabetes and stroke, too. The sad part of this story is that women don't realize that each of those diseases is preventable. 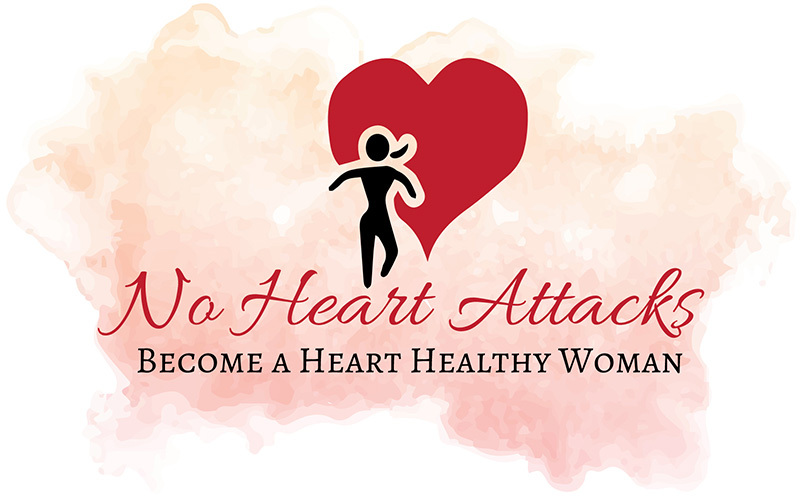 Even if women are overweight and have high cholesterol levels while premenopausal, they have lower rates of heart disease than men do because of the presence of estrogen. Unfortunately, those protective effects vanish at menopause. what's wrong with being overweight? More than two-thirds of American adults are overweight. That means that fewer than one in three people maintain a healthy weight. Obesity is even rising in areas where people are exercising more. Most people think that physical activity is just as important as the food you eat as the cause of obesity. However, it's a lot easier to eat than it is to move. To walk off the calories found in a single pat of butter, you would have to add an extra half mile to your daily walk. If you eat two stewed, skinned chicken legs, you will have to run three miles to make up for it. — Richard M. Fleming, M.D. I think my weight gain probably began in college. You know the freedom, the dorm food... then the fast food... then the snacks... then the alcohol. Those twenty pounds came on slowly over the four years, so by the time I graduated I didn't even notice it. Then I went to work and graduate school and more work. I got married and then got pregnant and just couldn't seem to stop the weight gain. Of course, you are supposed to gain weight when you are pregnant, and of course, you aren't going to lose weight while you are nursing. As my baby got older, I decided to start my own business. That was a very stressful time as I was trying to attract clients, help them, and earn money. Therefore, I continued to eat as I had become accustomed to. Now that I'm in my forties, I have learned to accept myself as a smart, capable woman - who just happens to be overweight. I've even taught clients to do the same. I've read about every diet that anyone has ever cooked up (pardon the pun) and I've even tried most of them. My weight has gone up and down over the years, but I think I have given up the idea that I can ever be thin and trim again. I've got two kids now and am still running my own business. I'm so incredibly tired some evenings when I get home from work, that I just want to sit down on the sofa with a glass of wine and a snack. My snacks are all fat free like pretzels and baked chips, so I assume that's good. Most mornings I'm still tired and rushing around so I stop on the way to work for a coffee and a fat-free bagel. Lunch is usually hummus and pita bread at the cafe near my office. Week-ends I love to meet up with friends for 'Happy Hour' and a snack. Because I'm in my forties now, I think I'm realizing it's time to do something different. It's time to lose weight and get as healthy as I can. I have had a couple of good friends who recently had 'health scares,' and I think that has helped me make this decision. It's time for me to get serious about my health. I need a coaching program that will help me succeed. I would love to get thin and trim, but I mainly want to make sure that I don't get diagnosed with cancer, heart disease or even diabetes. After all these years, I think I'm finally ready to get some serious help to make sure that I am truly healthy. I need someone who believes in me. Someone who can see that thin and trim woman under my outer layer, because actually I can't really believe she is there anymore. I need an easy plan, at least until I start getting my energy back. I want a plan that will give me results quickly. I know that if it drags on and on, I will give up. I want a plan that will get me healthy as well as thin. Something I can continue with for the rest of my life and not feel that I'm missing out. I need a coach who can give me some concrete steps to follow, who can hold my hand, and yet, hold me accountable. I work with successful women who have reached their forties or fifties (and beyond) and have realized that being overweight is not healthy. They have struggled with diets for years and would like to lose weight, to actually get THIN, and regain their health and energy at the same time. What separates my coaching programs from other weight loss providers, is that I know the importance of eating healthy foods to not only ensure weight loss, but to prevent heart disease, strokes, diabetes and even some cancers. Because of this, my clients lose weight and actually get thin and trim. Their cholesterol goes down as well as their blood pressure. They gain energy and enthusiasm and they restore their health. Sign up below to schedule a FREE Get-Acquainted Call with me. After you have scheduled your call, you will receive an e-mail with Questions for You to Answer and a link where you can find out more information about my various program options. This will make our time on the phone more efficient and valuable by focusing on YOU. I look forward to talking with you! WHAT IF I DON’T NEED TO LOSE WEIGHT, BUT WANT TO LEARN HOW TO AVOID DISEASE? Just because you are thin doesn’t mean you are eating in a way to avoid diseases such as cancer, diabetes, stroke or heart disease. Learning to eat in a healthy manner will move you towards your ideal weight, but it certainly won’t cause you to become “skin and bones.” The same coaching program and eating plan benefits all aspects of your health.